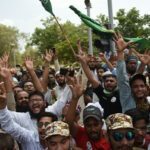 Anti-blasphemy protests in Pakistan have once again highlighted the fragile position of the country’s religious minorities. 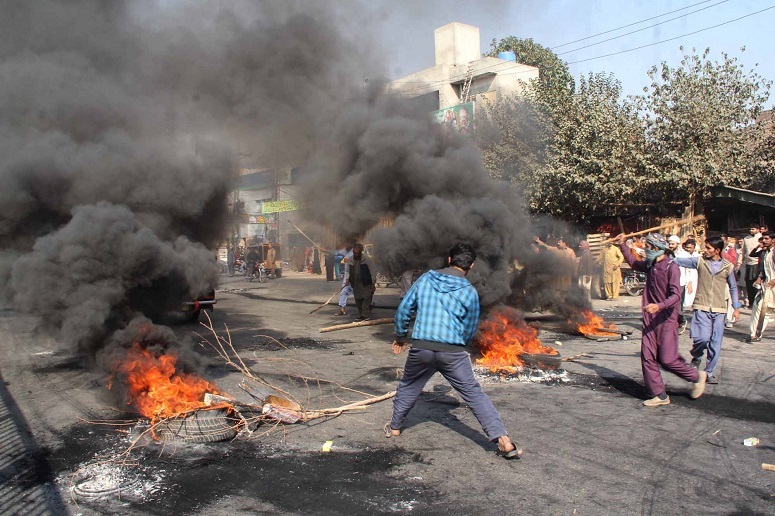 Life in various parts of Pakistan virtually came to a halt on Saturday (25 November) after the police, paramilitary and other law enforcement agencies clashed with rioters in the capital, Islamabad, resulting in protests and road blockades spreading to other cities across the country. 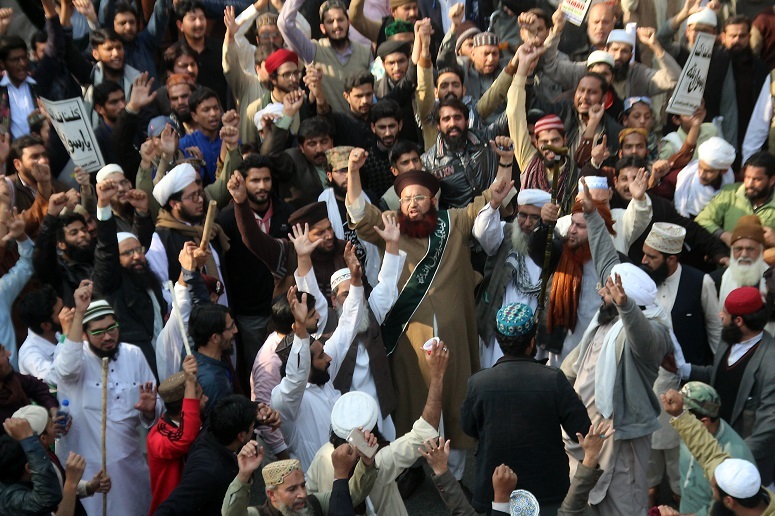 Tehreek-e-Labaik Pakistan, the Islamist political party at the heart of the protests, then accused riot police of being dominated by Christians and other religious minorities. 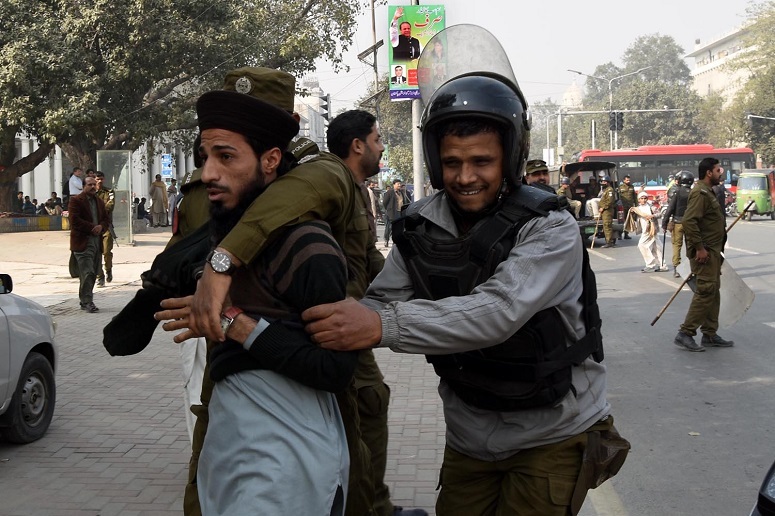 The chairman of Voice of Minorities Pakistan, Amir Bashir, told World Watch Monitor that Tehreek-e-Labaik Pakistan had “disgraced minorities serving the country in law enforcement agencies and armed forces”. 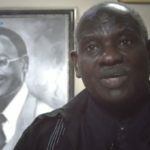 “The leadership must extend an apology as Christians have given sacrifices for the country,” he added. At least seven people died, 200 were injured and ten police vans were set on fire on Saturday as protestors, wearing masks and armed with sticks, stones and guns, clashed with around 8,000 policemen and paramilitary personnel, who fired rubber bullets, teargas and water cannon. One hundred and forty-four people were arrested. Pakistan’s regulatory bodies for the media suspended transmission of all news channels and social media websites – including Facebook, YouTube and Twitter – to prevent coverage of the clashes. However, the news still spread to other parts of the country, and roads were blocked in Karachi, Lahore, Gujranwala, Peshawar, Rawalpindi and Sheikhupura. Train, bus and aeroplane schedules were also disturbed and educational institutions ordered to remain closed today and tomorrow (27-28 November) in the Punjab, Pakistan’s largest province. For 20 days, since 5 November, around 2,000-3,000 people had occupied the national highway, Faizabad Interchange, which joins Islamabad with Rawalpindi, after firebrand speaker Allama Khadim Hussain Rizvi demanded the resignation of Law Minister Zahid Hamid for passing a law allowing the Ahmadi minority, labelled “non-Muslim in the Constitution, to contest elections on general seats, and altering the oath taken by parliamentarians. The protests were eventually brought to a halt yesterday after the Law Minister tendered his resignation. The oath that every parliamentarian is required to take was modified. This modification, which the government said was only a simplification, was viewed as a conspiracy by Rizvi’s party. Ahmadis were allowed to take part in elections on general seats, even though they are labelled “non-Muslims” in the Constitution. Pakistan is a 207-million strong nation, entirely Muslim apart from the religious minorities that account for around 3-5% of the population. Yet despite their small number, minorities have been the subject of significant debate in the country because of one particular sect, the Ahmadis, who were declared “non-Muslims” in 1974 through an amendment to the Constitution. In 1976 separate seats were created in assemblies for minorities. Then in 1979 the dictator General Muhammad Zia-ul-Haq created an entirely separate electoral system for Muslims and non-Muslims: Muslims were to vote for Muslim candidates, and non-Muslims for non-Muslim candidates. 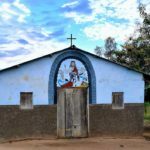 Religious minorities criticised the system, saying it was akin to an “apartheid” of minorities. In 2002, another military dictator, General Pervez Musharraf, restored the joint electoral system, and even allowed non-Muslims to contest elections on general seats. But for Ahmadis, the electoral system did not change. In June 2014, the National Assembly constituted a Parliamentary Standing Committee on Electoral Reforms to overhaul the existing electoral system. The committee in December 2016 tabled its amendments in the form of the Elections Bill 2016, which overturned several laws, including one which had forced the previous Prime Minister, Nawaz Sharif, to step down as the leader of his party, the Pakistan Muslim League-Nawaz. But that all changed on 2 October with the passing of the Elections Reform Bill, and the next day Sharif was re-elected as the head of the party. In Pakistan, every Muslim, in the form of a national identity card or as a member of the assembly, has to declare that he is a Muslim and believes that Muhammad was the final prophet. Sharif’s party said the Elections Reform Act simplified this declaration, but the opposition said it compromised the finality of the Prophet and was thus in effect “blasphemous”. The National Assembly quickly met and restored the earlier version of the declaration, calling it a “clerical error”, but that did not address the voting system that Ahmadis would be allowed to use. Many called for the sacking of those responsible for the mistake, including Sharif’s younger brother, Shahbaz, the chief minister of Punjab. Meanwhile, the preacher, Allama Khadim Hussain Rizvi, and his followers blamed the Ahmadis and the West for engaging in a conspiracy. 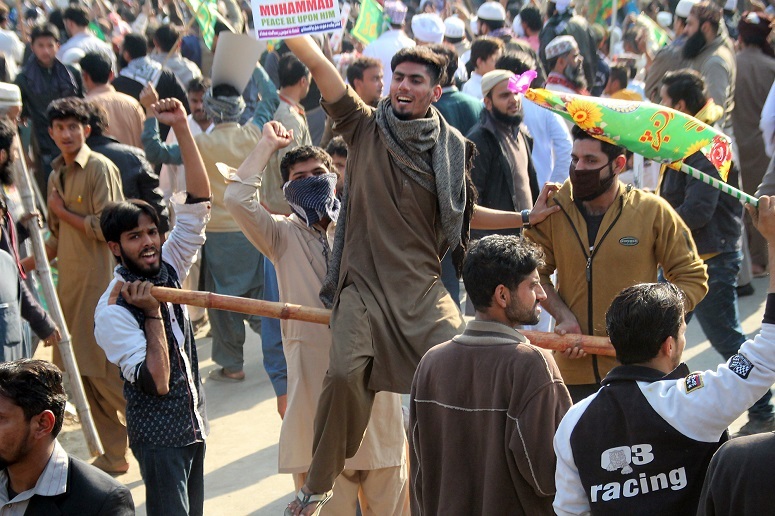 The protestors belong to the moderate Barelvi strain of Sunni Islam, part of the Sufi tradition. Barelvi shrines and leadership have been targeted in recent years by hardliners, who think of Barelvis as heretics. Muslims account for around 95 per cent of the total population of Pakistan. Around 60 per cent of Pakistan’s Muslims are Sunnis, and most of them are Barelvis. In 1992, a group named Sunni Tehreek was formed to safeguard their mosques and regain others that had been taken over by other sects. In April 2006, most of their leadership were killed in a suicide attack. They had gathered in Karachi to celebrate the birth of Muhammad, an act considered heretical by hardliners, who say there are only two celebrations (eids) in Islam and every other is an innovation and a heresy. 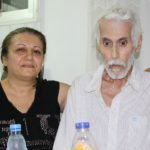 Barelvis are known for their special reverence of Muhammad. It was a stalwart of the Barelvi faith, Dr. Sarfaraz Naeemi, who led the protests against the drawing of cartoons of Muhammad in 2006. Dr. Naeemi was assassinated by the Taliban in 2009 for opposing their views. Because of their moderate views and persecuted past, even the USAID gave them money in 2009 to organise rallies against the Taliban. However, Barelvis have since become increasingly involved in militancy. 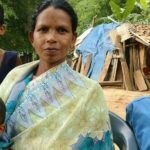 The Barelvis are staunch supporters of Pakistan’s stringent blasphemy law, and were vocal supporters of the death penalty given to the Christian woman, Asia Bibi, in 2010. Former Punjab governor Salman Taseer, who had called for Bibi’s release, was assassinated by a Barelvi, Mumtaz Qadri, who had been working as Taseer’s security guard. Qadri has been hailed as a hero and true defender of faith. It was after Qadri’s hanging in February 2016 that Khadim Hussain Rizvi rose up on the political scene and founded the Tehreek-e-Labaik Pakistan. The mainstream media did not pay Rizvi any attention at first, but he has been very effective in his use of social media to broadcast his fiery speeches, which centre on unwavering support for Pakistan’s blasphemy laws. In National Assembly by-elections in September, Rizvi’s party obtained 7,000 votes – not nearly enough for victory but a sign the party was gaining support among the masses. It is against this backdrop that Rizvi’s party blocked the main highway in Islamabad in November and has now got two ministers sacked at their demand – Law Minister Hamid and Minister of State for Information Technology and Telecommunication Anusha Rehman. Rizvi has also spoken out against Christians, whom he associates with the West and blames for wanting to jettison Pakistan’s blasphemy laws.